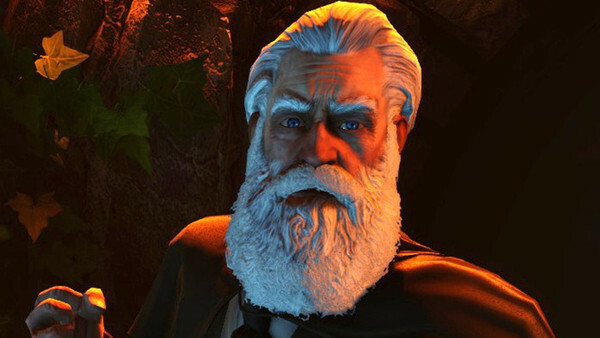 The antagonist of Bioshock Infinite, everything about Comstock screams "mysterious evildoer". Yes he's got a flying city in the sky, but the second you touch down on Columbia you realise racial segregation and oppression is still in full flow. This wannabe-American utopia circa the early 1900s is rife with inequality, and with one "genius" mind at the top, you can't wait to see what makes him tick; what makes him think he's above the rest, and how you're going to reason with him or bring him down. Cut to your first in-person meeting and... Booker just kills him. In retrospect I totally think this was done to prevent the game's later twist from happening earlier, but the head-bashing of Comstock comes out of nowhere, completely ruining what should've been the best exchange in the game. That later twist, too? It's that Booker IS Comstock. Ken Levine and co. wrote a whole bunch of alternate reality-type gubbins explaining multiple timelines and how the Comstock version of Booker is just one permutation of an event in his past, but... this doesn't explain how Booker doesn't recognise himself visually. Feeling as though Levine had to put twists on top of twists because that's what pop culture's version of Bioshock had become, everything with Comstock felt contrived to manufacture head-scratchers where there weren't any, and even surface level analysis makes the whole thing fall apart.